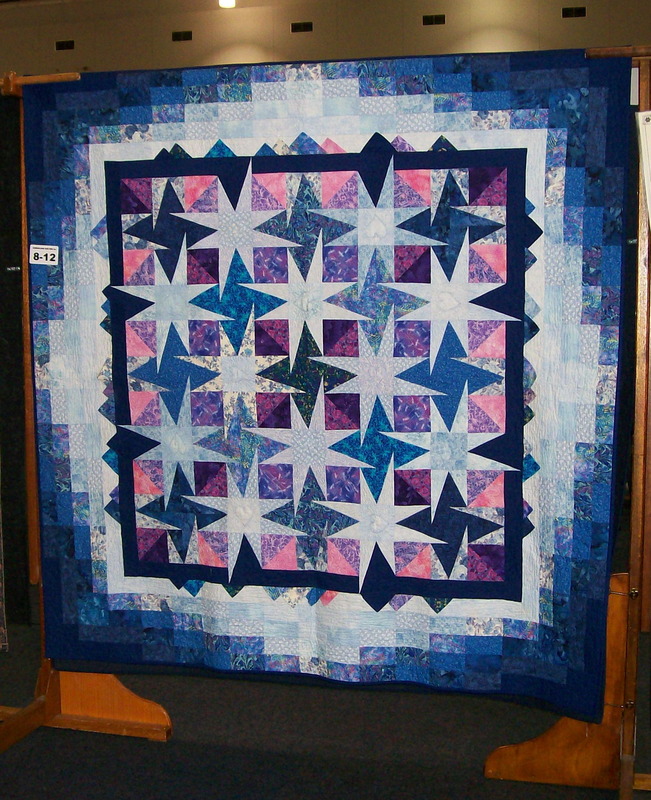 This quilt was made as a gift for my niece and has become a popular workshop project with different groups. 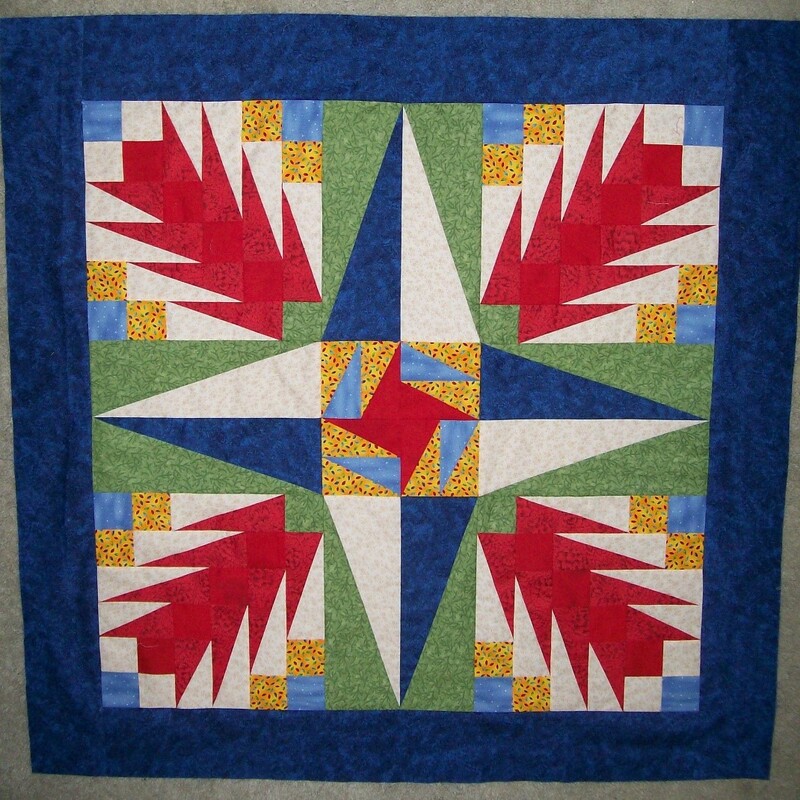 Many have created variations to the border, which will give the quilt very different look. Try this in your favourite colour scheme, as a scrappy, or with just a couple of fabric choices and be surprised by the outcome. 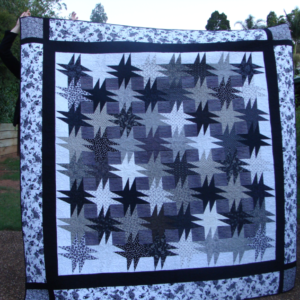 Made with angle pieced units in various sizes.